Nissan Consult-4 is the new generation diagnostic system for Nissan and Infiniti vehicles. It is powerful, flexible and easy to use and will transform your ability to provide rapid, accurate service diagnostics for today's sophisticated Nissan and Infiniti models and future products – good news for both you and your customers. 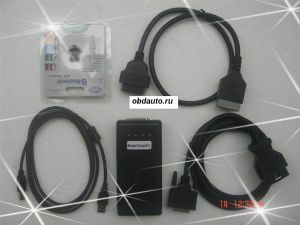 Nissan Consult-4 is a laptop-based diagnostic system using a Microsoft® Windows® based user interface. It has a new Hardware platform – laptop PC - and a new Application for diagnostic work. Nissan Consult-4 supports all Nissan and Infinit vehicles from 1996 to Now.